IceFrog has recently posted Q&A Session #3 on his blog. This time it is a very interesting Q&A session in which IceFrog explained few things about the gameplay of Dota-Allstars. Read it! Q: How much longer do you realistically look at DotA as something that you want to put your time into and update? A: I honestly can't see myself stopping anytime soon; It is the only game I really play so I get a lot of satisfaction out of working on it. I think there are a lot of areas to further improve and build upon.I hope for the game to reach new heights competitively and have a much bigger audience overall. I tend to go out of my way to make sure I don't put myself in situations where I can no longer develop with the freedom and quality needed to take it to that level. Q: How do you decide what to change? Are you trying to make the game faster or more gank oriented? A: I don't think of things that way exactly. While that is usually true, it is not accurate to consider it as the root philosophy that drives everything. DotA's primary strength is in its depth and the moment to moment decisions it places in front of the player to make. There are also many non-obvious pitfalls that could seem like good ideas, but actually hurt the game's true depth. My primary goal is focused on improving the quality and depth of the game and not other superficial metrics of success. I want players to always feel there is a lot to improve upon and to encourage situations where a player is rewarded when he is able to make better decisions than his opponent, which is something I think even non-competitive players value. That is the core of what a competitive game should be after all, creating more opportunity for good decision making. There are, of course, many other factors that are considered for all changes, but this is usually the first priority. Q: What do you think of Starcraft 2 Editor? A: It looks great, I'm sure there will be lots of interesting games developed for it. 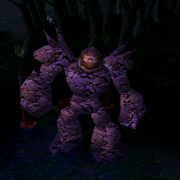 By allowing more direct control over the camera and cursor, as well as the other features described, it will spawn new genres, like Warcraft 3 did before it. Q: Have you decided if you are moving DotA to Starcraft 2 yet? - Will we be able to reproduce the subtle, but very important, unit spell, attack and movement mechanics properly? - Will the art style fit DotA? Will there be enough unique and identifiable character models for heroes to use? - Will it encourage team sponsors or help improve the DotA competitive scene? - Will it provide features that improve DotA, such as: accessibility, networking capabilities, visual readability, spectator features, interface design, etc. These are the general issues I've been considering when thinking about what the right thing is for DotA's future. Q: Why did you remove the combat regeneration from Heart of Tarrasque? A: It was a very specific choice to completely remove combat regeneration from it rather than just reduce it. While it was a nerf, that wasn't the primary goal. The problem with trying to measure the value of regeneration on Heart is that it makes your success in a fight depend at least partially on how long the fight lasts. The core issue is more about what it promotes rather than it allowing you to survive. It encourages the wrong things and doesn't reward players who make better moment to moment decisions as much as it could. It removes some depth from the game and makes it a little less interesting over all. If the item needs a certain amount of tanking power, it is much more direct to add more hit point bonus to the item instead of doing it via a method that obscures the ability to measure the balance of the item. This is more about the design philosophy the item should have, rather than its actual numbers or power, since I consider those as solvable problems if you have the right design to start with. In general, I prefer to lean towards creating a situation of long term solvability to issues. Some things might be knowingly imperfect but done in a manner that increases measurability to allow it to settle in a better place in the long run. Q: How can I help improve the game itself? Are you going to add my suggestion if I send it? A: The best way is to give feedback; I always appreciate getting suggestions from players. While it isn't practical to expect a specific idea to be used (because of the large number of people with different perspectives), it doesn't mean that they don't get factored in. For me, it isn't always about the specific suggestions as much as what the player is thinking about and how they measure value. Most changes are usually a compilation of many different sets of data and requests over time. I tend to avoid listening to only one type of player. By "type of player" I do not mean competitive or casual at all, I mean the segment of player groups that use different mediums to express their views. There is a very large portion of users that would go unaccounted for if that was the case. Data comes from a variety of different sources, such as: emails, forums posts, replays, joining games with players from different cultures, direct dialog, etc. There are a lot of different types of players and they tend to value things very differently, so it is important for the concept of success or failure not be tunnel visioned to only one medium of opinions. Q: What will happen with the -switch command? A: To be honest, I'm not sure yet. It is a tricky issue. On one hand, I want to remove it because in many cases, it causes more problems than it solves, and it creates an uncomfortable situation for players. On the other hand, a lot players find it very useful, and people have just slowly started to get a better understanding of when to use it and not to. I might implement something that freezes the leaver items and gold until the team decides if they want utilize -switch or take the resources, but of course that is only one aspect of the command. While it is an optional game mode now, I do recognize that it will eventually need to be addressed somehow. Q: Why you are making new heroes with hard and interesting skills when there are many old heroes with trivial stuns and auras? A: There is a balance that needs to be maintained between adding new content and improving old. Some players (like me) prefer refreshing old heroes, but others grow attached to older heroes and prefer them to not be changed. The important thing to keep in mind when thinking about a remake is trying to make sure that the qualities players enjoyed in that character are maintained for the rehash. That isn't always possible, but it is something that needs to be considered. Furthermore, sometimes there is more value in simplicity, not everything basic always needs replacing. New skills might be interesting, but needless complexity should also be avoided whenever possible. I try to find a middle ground between remakes and new content so all players can be reasonably satisfied in the end. Q: Which way to send ideas and bug reports is the most preferred and most likely to reach you? A: I prefer email the most because I can sort and organize stuff better as well as being able to respond more easily. Q: Have you considered the suggestion to make Invoker's orbs not interrupt movement? A: I know a lot of people have requested this in the past. This feature was actually implemented in 6.63 before I had to remove it due unresolved technical issues. Warcraft 3 does not provide a straighforward way to do this, so I used a few tricks to achieve it, but it made command registrations unreliable so you would sometimes get incorrect orbs if you clicked too rapidly. Q: Do you have a schedule for day/week/month, according to which you are working with DotA? A: Well it has been different over the years, between studying, programming and college research taking up different amounts of time. I generally try to make a new beta map every day to experiment with, so it's usually just a chunk of time each day rather than spaced out. It changes from month to month, though. A: I could spend more time on it in the future if users want it that much, but I recommend trying out some tools that community members have written. They do more direct modding to Warcraft and can allow more changes than normally possible within a map to create a more coheesive theme. Q: Will there be a new easter egg map soon? Thanks to everyone that emailed me their questions. If you didn't see yours listed here and would still like me to answer it next time, let me know. Leave the "-switch" command as it is don't remove it. We're OK with it. pls hack for exp dota ultilities!!! pls !!! i have a question do you know the game heroes of newert did ice frog created that game?? Two things,1st Good job icefrog so far. 2nd I have You reworked MKB to counter heroes like Panda (my ex fave). Are you gonna include items to counter orb effects or bash anytime soon? when 6.64 out? a week? yeah.. i have a good question for you sir.. about heroes of newerth... what's the deal? All items from dota has been placed there as well and heroe skills and concepts have been derived from dota.. are there no copyright issues?